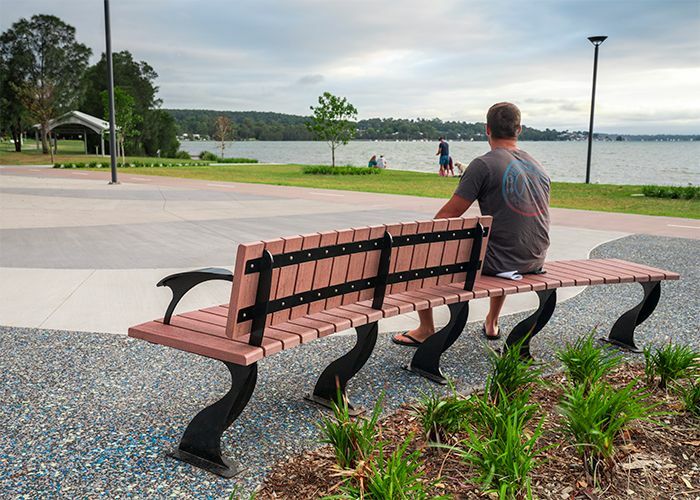 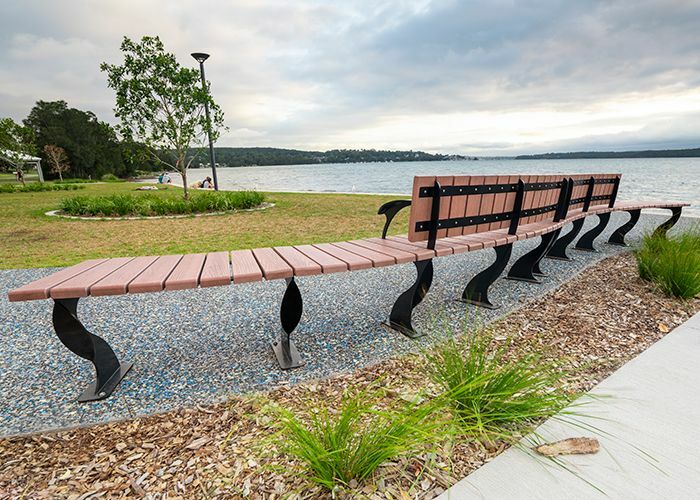 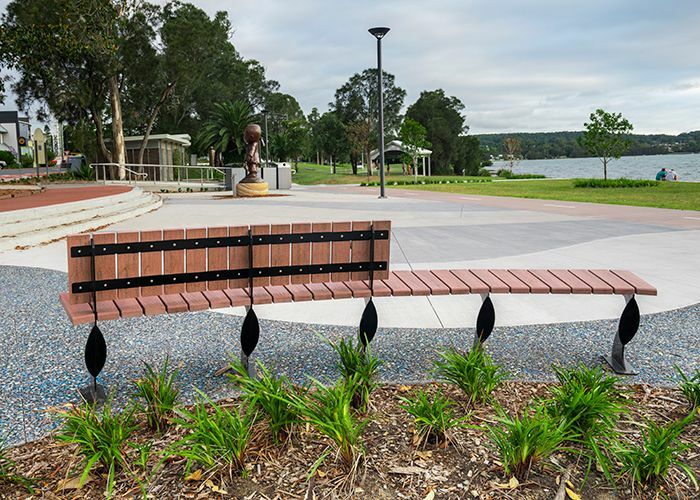 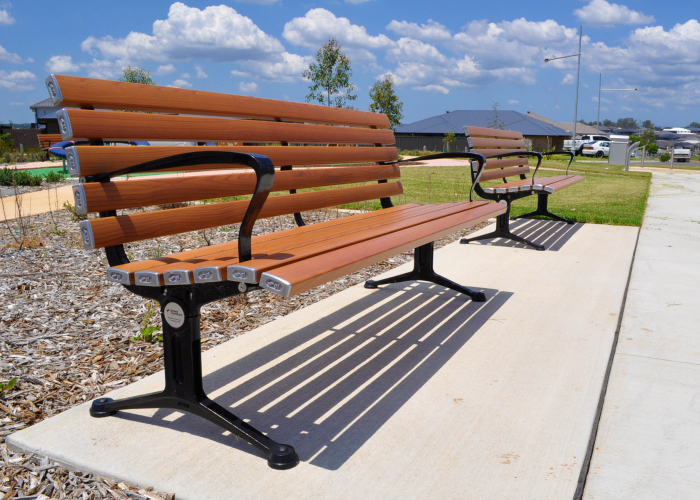 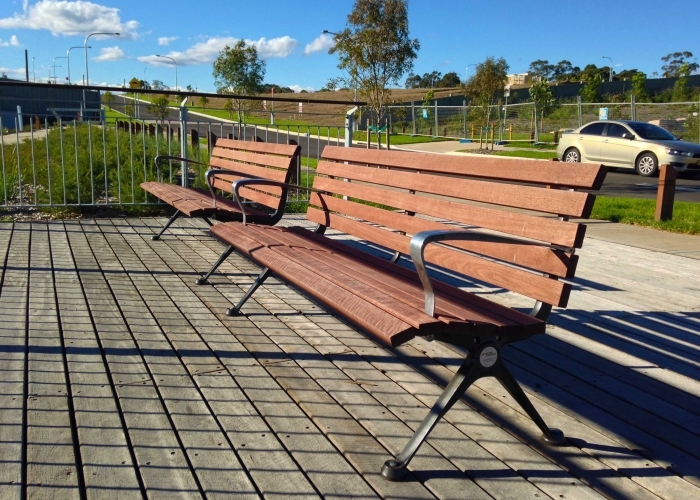 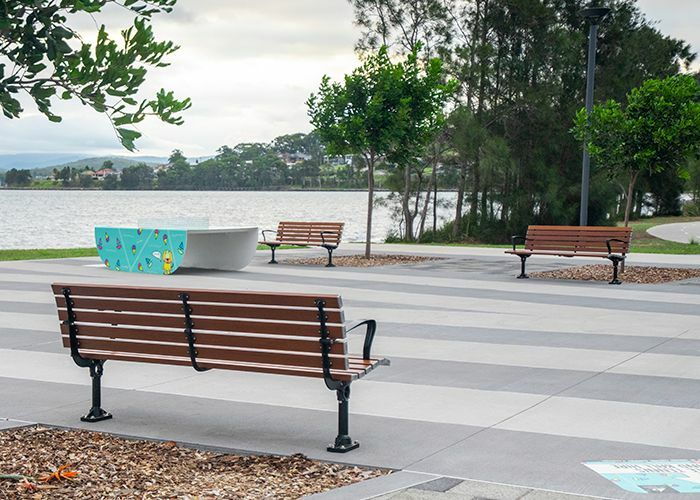 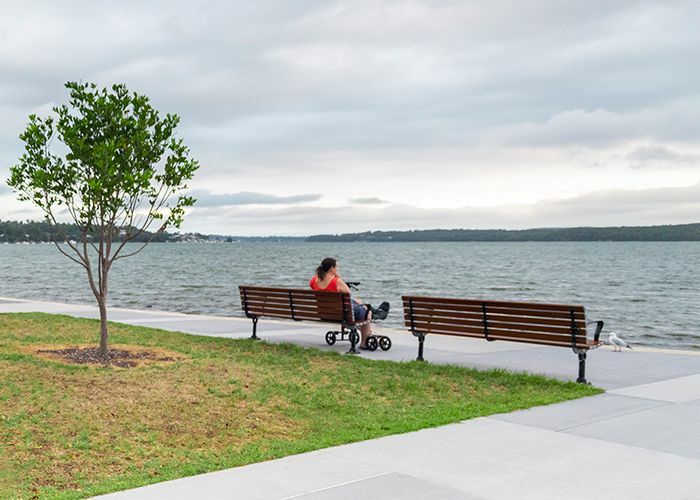 Arc Seats by Lake Macquarie City Council for Warners Bay. 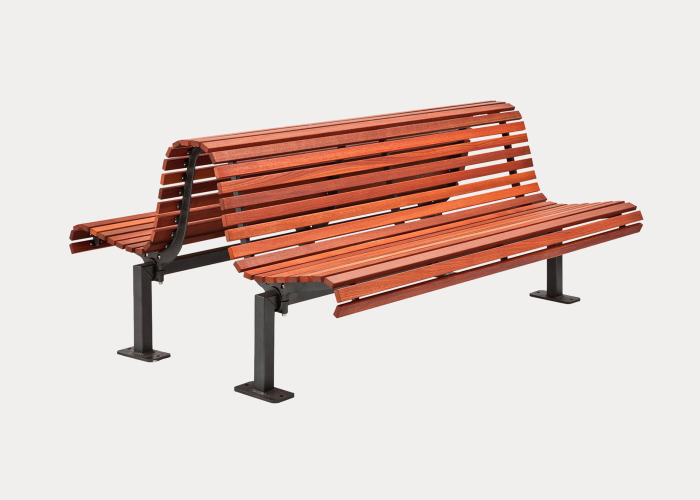 Tailored Modwood battens, frames in Night Sky. 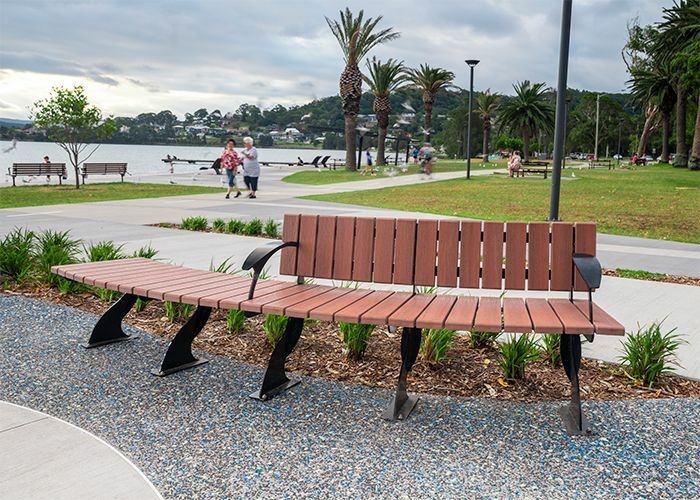 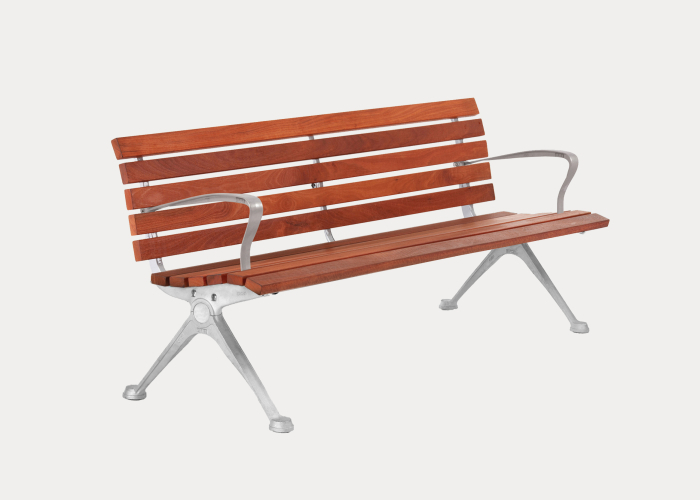 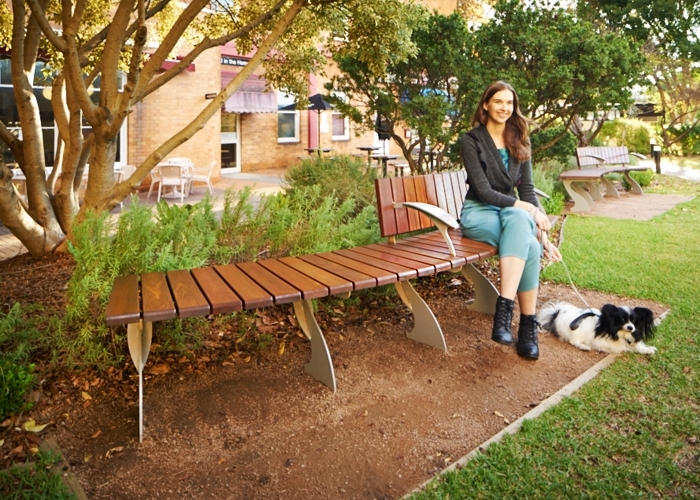 Arc Seat by Lake Macquarie City Council for Warners Bay. 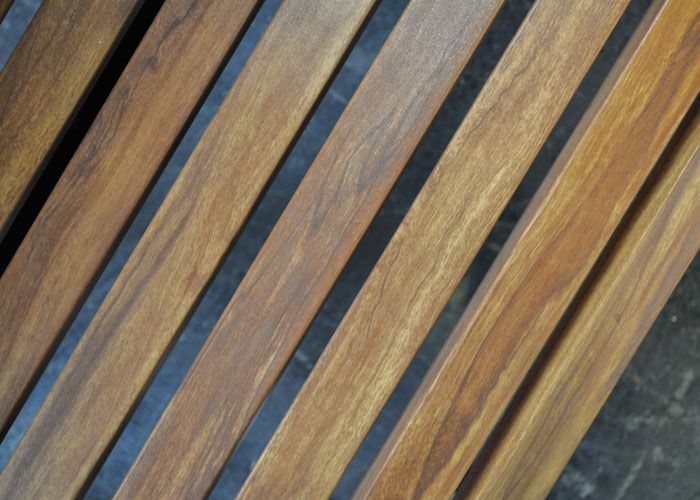 Tailored Modwood battens, frames in Night Sky. Make a statement with concave or convex curves. 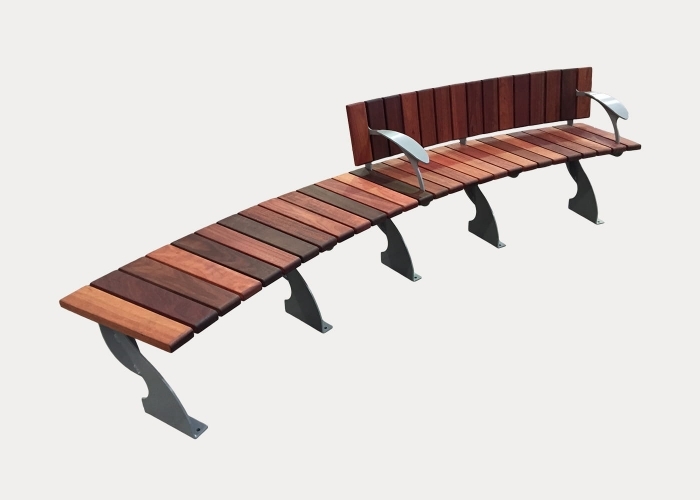 Comfortable yet DDA friendly, the Arc Seat features wide and tapered hardwood battens supported by strong stainless frames. 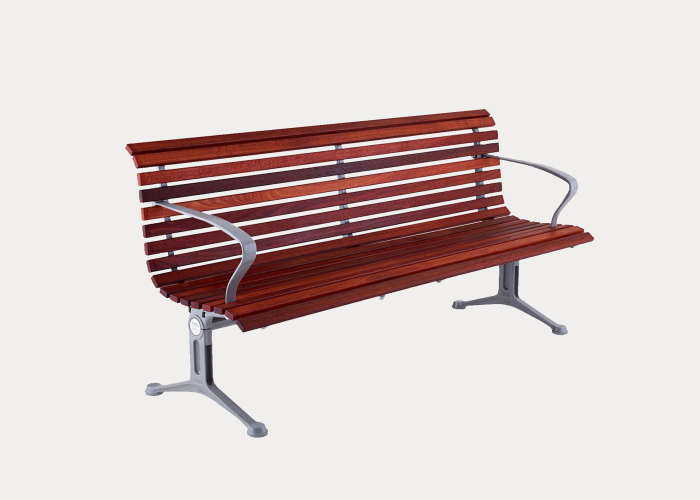 Select full, half or no backrest. 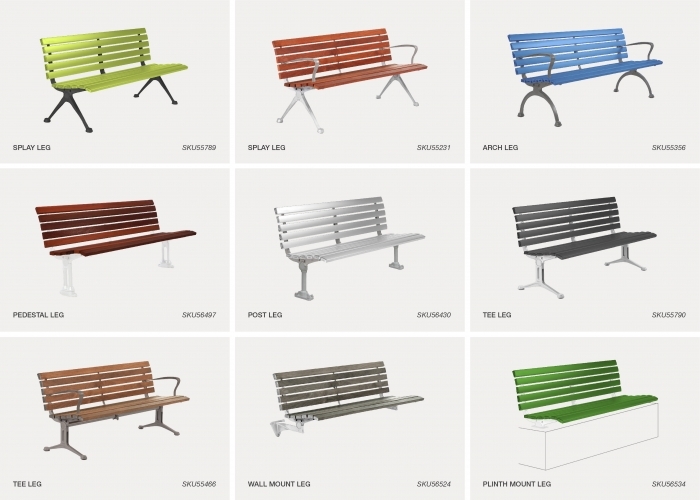 Consult with us to fit your space perfectly. 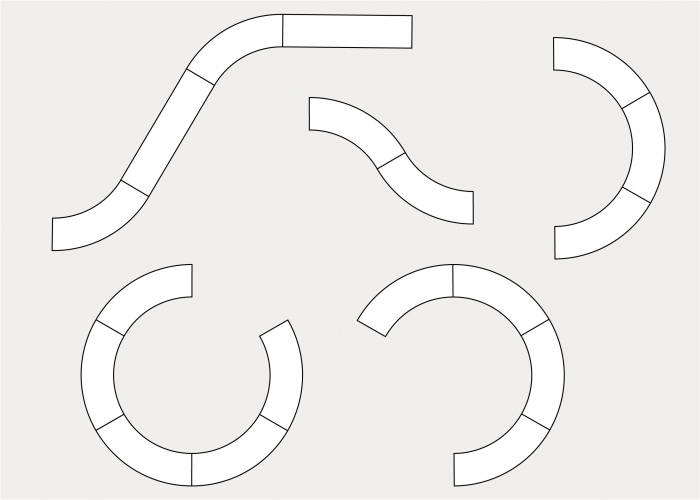 Create s- and c-shapes by placing seats side by side. 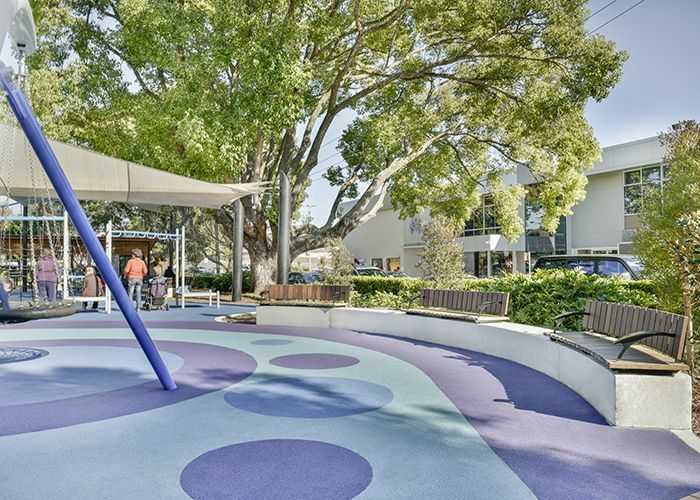 The Hunt Club is a private estate home to families and retirees in Melbourne’s Cranbourne East, with its own shopping village onsite. 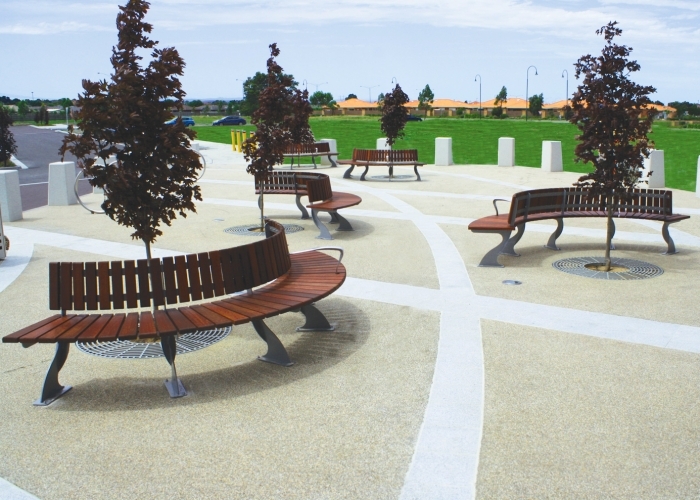 Custom curved seats were commissioned from Street Furniture Australia to furnish the outdoor area of the anticipated Hunt Club Village. 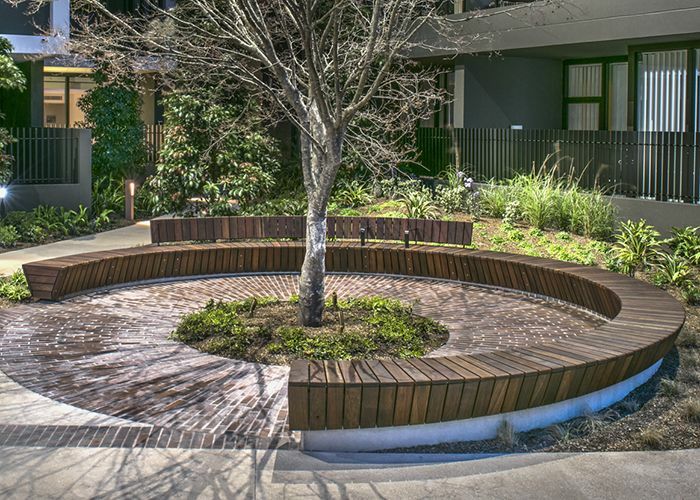 At the request of landscape architect Mark Skiba from Tract Consultants, SFA designers modified existing plans for curved seats, tightening the radius to complement the curve of the courtyard’s trees. 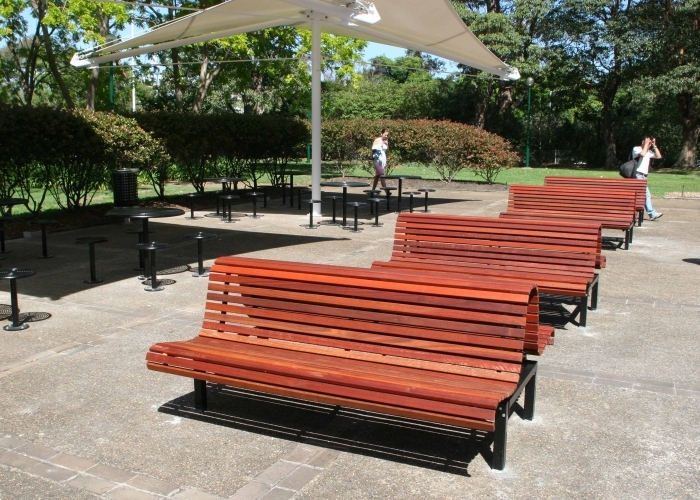 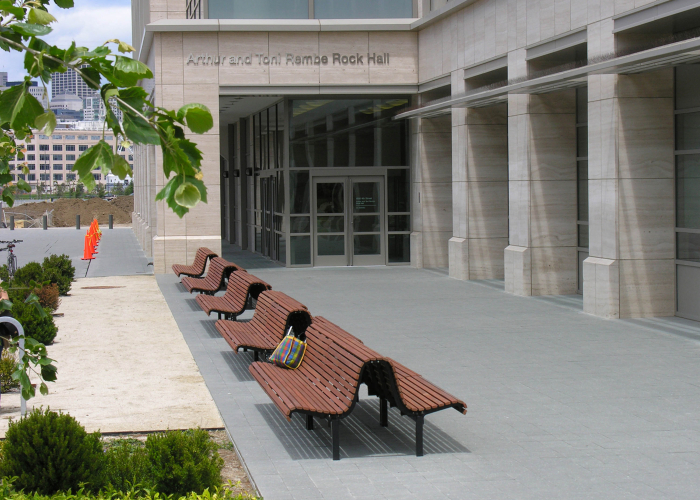 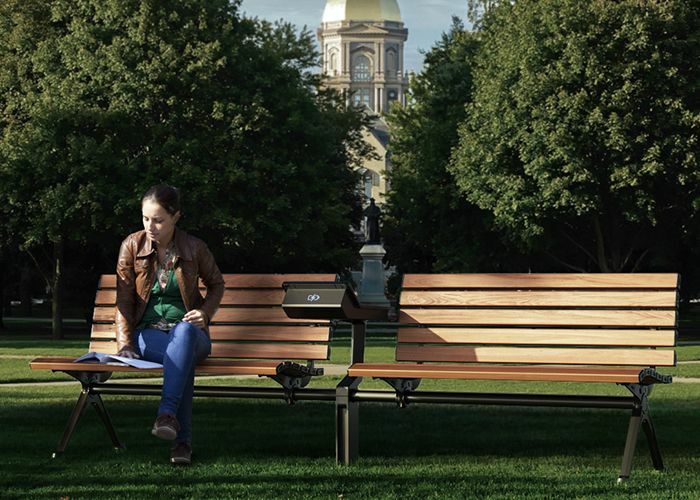 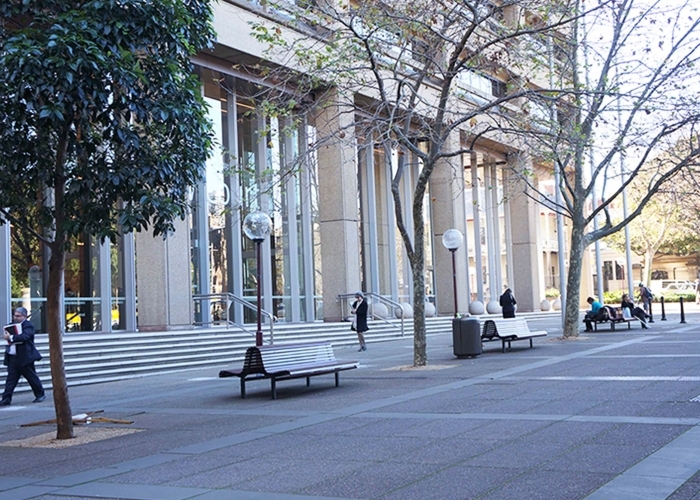 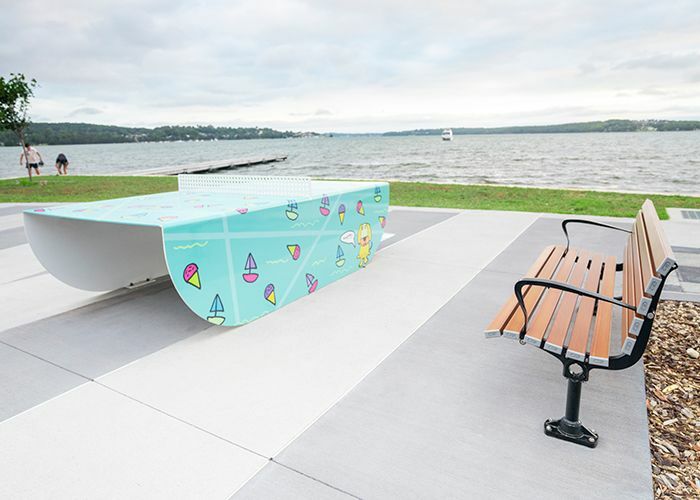 The seats were further modified to match Classic Galleria seats and benches also installed at the site, with custom eco-certified hardwood battens and standard Galleria arms. 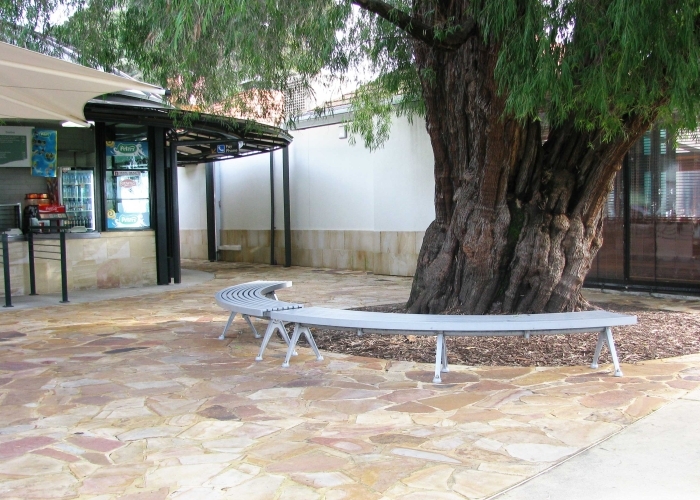 Silva Grates protect the trees in a high traffic area. 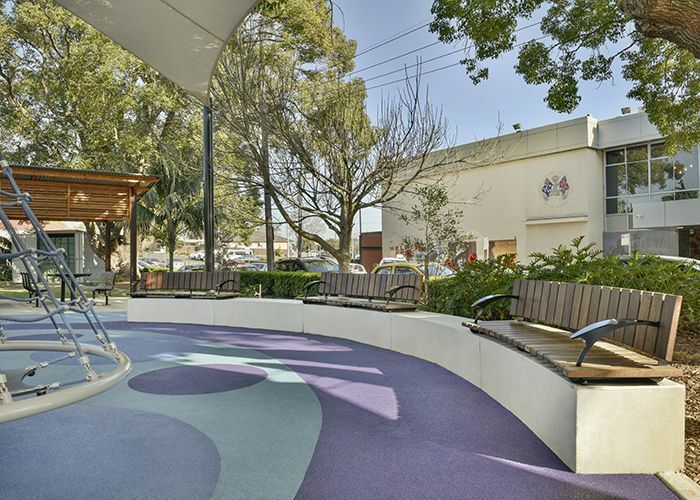 Architects for the project are Tony Arcari and Tony Trajkovski from the Buchan Group, with Becon Construction carrying out the build. 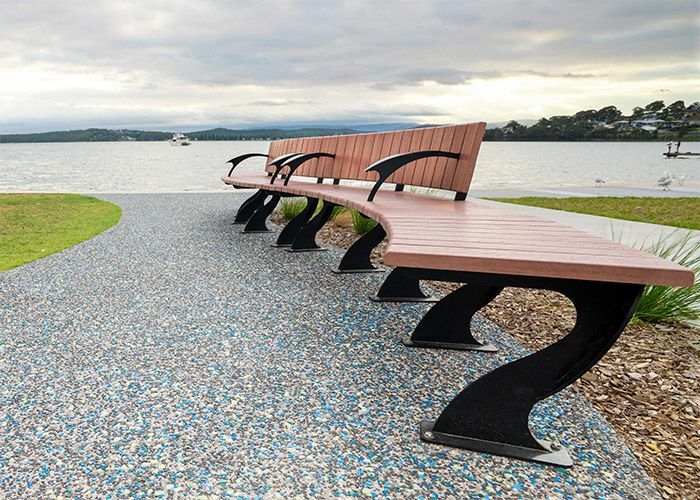 Enquire now.